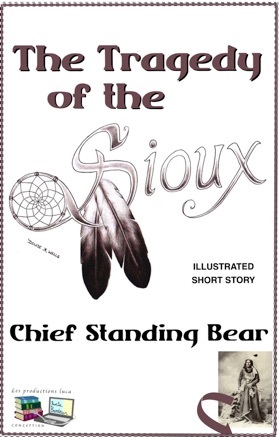 After the death of Crazy Horse in 1877 abrupt changes came for the Sioux of this tribe. The Sioux were succumbing to the trickery of the whites and the undermining of their own tribal morale. Perharps their thanks for their unsweving loyalty and patriotism during World War of 1917-1918, they suffered from cold and insufficient food in their new reserve. Sixteen years ago I left reservation life and my native people — the Oglala Sioux — because I was no longer willing to endure existence under the control of an overseer. For about the same number of years I had tried to live a peaceful and happy life; tried to adapt myself and make readjustments to fit the white man's mode of existence. But I was unsuccessful. I developed into a chronic disturber. I was a bad Indian, and the agent and I never got on. I remained a hostile, even a savage, if you please. And I still am. I am incurable. I was born during the troublous days of the 60's, the exact year is not known, when the Sioux were succumbing to the trickery of the whites and the undermining of their own tribal morale. My first years were spent living just as my forefathers had lived — roaming the green, rolling hills of what are now the States of South Dakota and Nebraska. I well remember the first white habitation I ever saw. It was a dugout in Northern Nebraska, whither we had gone on a buffalo hunt. Prior to that time there was not a fence, a field nor even a log-cabin to break the natural beauty of the land. That too, was the first time I ever saw dead buffalo lying around on the plain. 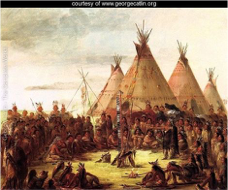 After the death of Crazy Horse in 1877 abrupt changes came for the Sioux. As long as this great leader lived there was a Sioux nation, but his passing meant its death knell. There was no other leader with his power to uphold the integrity of the people.